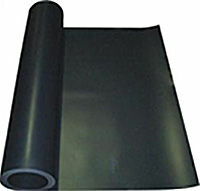 J•TAPE: An underground waterproof seam tape which allows watertight junctions & connections and provides super stretchability. 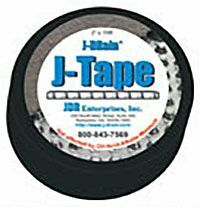 Use J•TAPE to connect seams, overlaps, and connect J•DRAIN fittings. 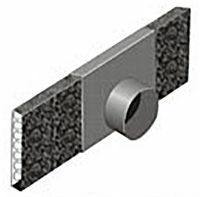 J•CLIPS reduce damage to fabric during installation and creates a firm hold for nailing while eliminating high stress points. 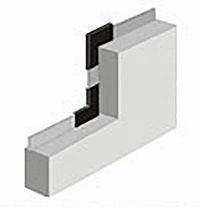 Use J•CLIPS to hold & attach J•DRAIN products to walls or footers. Used to make transition from J•DRAIN SWD to a corrugated 4” plastic pipe. Used to make in line transition from J•DRAIN SWD for intermediate collection of water along footing. Used to cover the cut end of J•DRAIN SWD at either vertical or horizontal terminations. 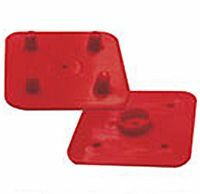 Used to connect two strips of J•DRAIN SWD either vertically or horizontally. Used to connect two strips of J•DRAIN SWD on a vertical stepped foundation. 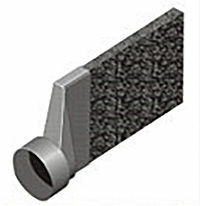 Used to connect 3 strips of J•DRAIN SWD (generally used in landscape applications). 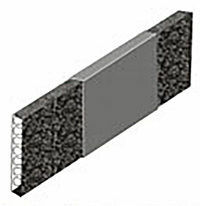 A solid sheet of 20 mil (0.51mm) 100% post-industrial polystyrene regrind. Each roll is 4' wide x 100' long (400 square-feet/roll). 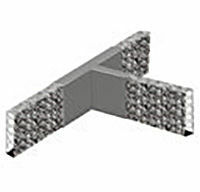 A root barrier is a required component and is generally located within or at the membrane.Most membranes (i.e. 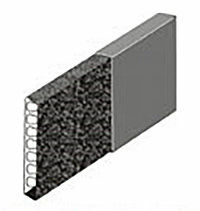 hot applied rubberized asphalt, cold fluid applied, built-up bitumen, and modified bitumen) will require a root barrier to repel roots. 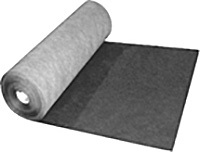 100% post consumer PET spunlaid recycled nonwoven polyester fabric. Manufactured using post consumer recycled material (PCR) chips made out of recycled polyester bottles.